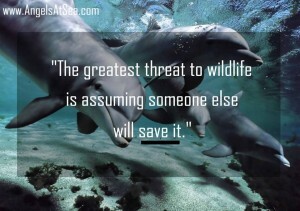 How often do you consider what is happening to the underwater wildlife? It isn’t always visible because of the water itself blocking that visibility. But underwater wildlife are having their own challenges and those challenges often affect us or will affect us in the future. It isn’t something to be ignored. They are part of this vast world we live in and may have a role that is as significant as yours in the scheme of things. Often we don’t know our own value let alone the value of others and other species specifically. When I do a healing, I encompass the totality of the story or memories of my clients. We include past, present and future and every person, place or thing involved in the scenario we clear. All family and ancestors are also included. Occasionally there is a story of a ship, a mermaid or other scenario including the sea. When we do a clearing, all are included and all benefit. When I was guided to put together this cruise, I didn’t know then how much the heavens wanted to use it as a vehicle to support underwater life. We opened the first morning session during our first cruise to bring everyone present to heal anything that was causing them stress so they could fully enjoy the cruise. We also included the oceans. That same thoroughness I do in my regular clearings, I applied here in this group session. The healing took on a life of its own and it became evident that the angels had a bigger picture in mind. We ended up clearing all bodies of water on the planet and all life within those waters. We covered every incident we could possibly imagine that could have ever had a negative affect within those waters. History of war, shipwrecks, Navy, sonar, piracy, pollution, fishing, oil spills, etc. were included. It was quite extensive and very healing to all participants as well as to humanity and the world at large. While we were working, passengers reported seeing dolphins and whales traveling along side us. It was quite miraculous. I was reminded afterward that the earth is covered with mostly water and that we are made up of mostly water. I was told all the healing done that day ended up affecting all because of all that was included during this opening session. This group effort by the contributing participants on this cruise made a difference in the world that day. I look forward to this next inspired and guided cruise to see the benefit that this will bring the planet and all its people. The more participants we have on board contributing their energies to this healing project, the better the world will be. Royal Caribbean has extended the opportunity to book the cruise and receive the second person in the cabin at 50 percent discount off rate for the cabin of your choice. The first person is at 100 percent and the second person is at 50 percent discount from per person rate. If there is a third or fourth person in the cabin, the discount does not apply to either of them. Over this 10-day cruise there will be ample time to rest, rejuvenate, socialize, network, explore and have fun! If you are ready to book or have questions, call Linda, our travel agent on her cell 201-394-7336. Royal Caribbean is offering the second person in a cabin to receive their cabin fee at 50% discount. Third and fourth person in room will remain at regular price. For those who book by July 15 depositing $900 per cabin, or $450 per person, the second person in the cabin will be at 50% off cabin price of choice. For those interested in a payment plan. We have that opportunity as well to make it a little easier. The great thing is to be able to have all paid off for the holidays and next year be able to relax and enjoy the year with this expense behind. It is wonderful to go on a vacation without creating debt when the cruise can be paid off in advance! Our travel agent, Linda Cutrupi, is willing to take a payment plan to make it easier on all travelers. After depositing $450 per person per cabin, you can make equal payments per person through November. Royal Caribbean has extended a discount for the second person in the cabin to receive a 50% discount on the cabin price of choice if deposit made prior to July 15. For each cabin, a deposit must be made of $900 or $450 each for two cabin mates. 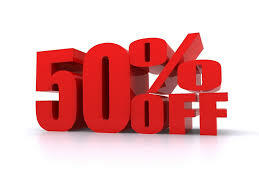 Royal Caribbean is giving us the opportunity to receive a 50% discount on the second person on the cabin this week. They extended the opportunity until Friday, June 6, 2014. Each individual has to deposit a minimum of $450 or $900 per cabin for this 10-day cruise to the southern caribbean to receive the discount. The formal arrangements for our group are being made with the cruise line on Monday, June 2, and they are gifting us this extension of their May offer. “We are lucky to have this opportunity because it offers a savings to those who already know they’d like to cruise with us next year.” says Joy Pedersen, co-host of the cruise. For those who would like more information about the travel details, contact the travel agent, Linda Cutrupi on her cell (201) 394-7336. For questions on the group participation and onboard activities, call Joy Pedersen at (800) 801-7597. The memories as well as the changes that occurred due to the first cruise carry on. The first morning opens with a healing session to the group and all the oceans and ocean life. According to Archangel Michael, this cruise is heavenly inspired. 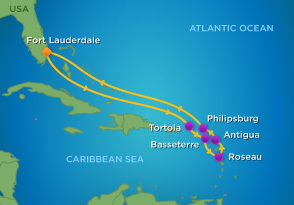 We have planned our next cruise choosing a week (March 20, 2015) and cruise (Royal Caribbean Legend of the Sea) that the angels recommended in the Southern Caribbean. The 10-day cruise will allow for healing of all participants as well as the oceans and ocean life.